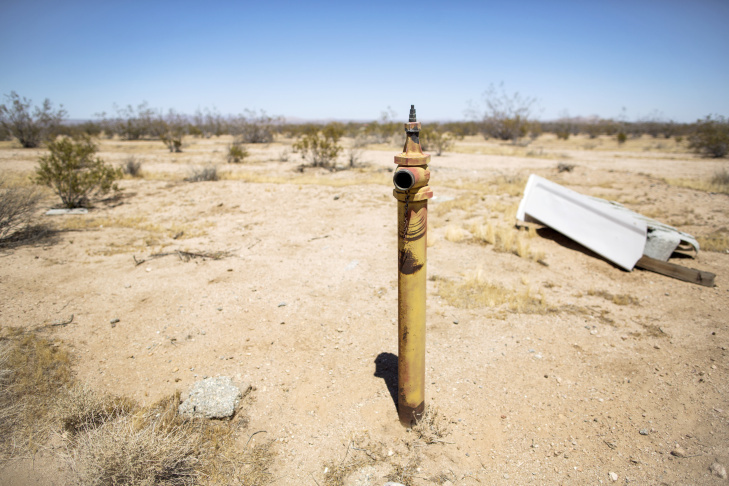 California City has 170 miles of water infrastructure, much of which covers empty lots where housing developments planned in the 1960's never came to fruition. Today, the city must continue to maintain the infrastructure which is beginning to fail at the same rate. 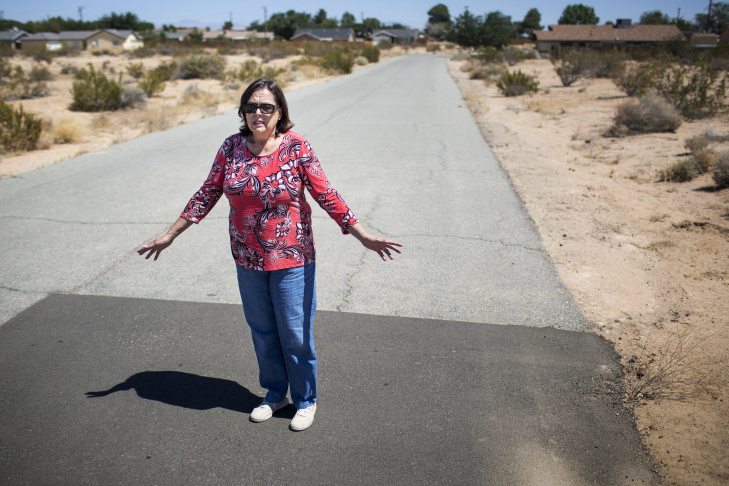 California City Mayor Jennifer Wood stands where a water line blowout occurred on 107th Street in early 2015. With these water line breaks, Wood is worried about residents' safety . 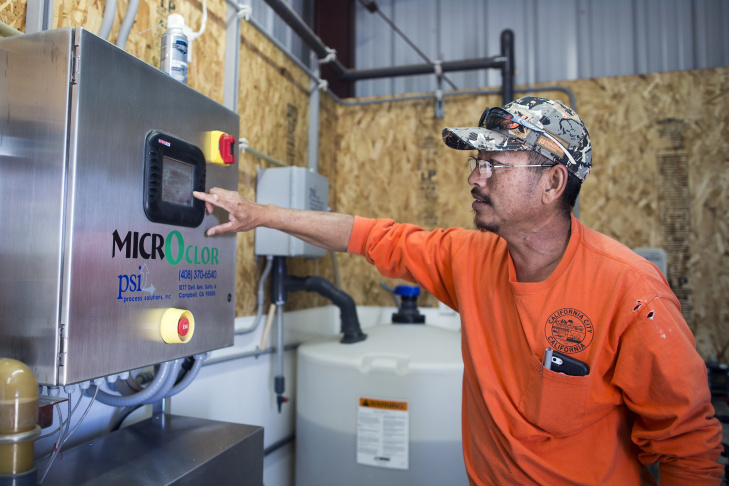 Arthur Van Dang, a pump operator for California City's Department of Public Works, checks on a chlorine filtration system at Well #16 in California City on Monday, July 11, 2016. 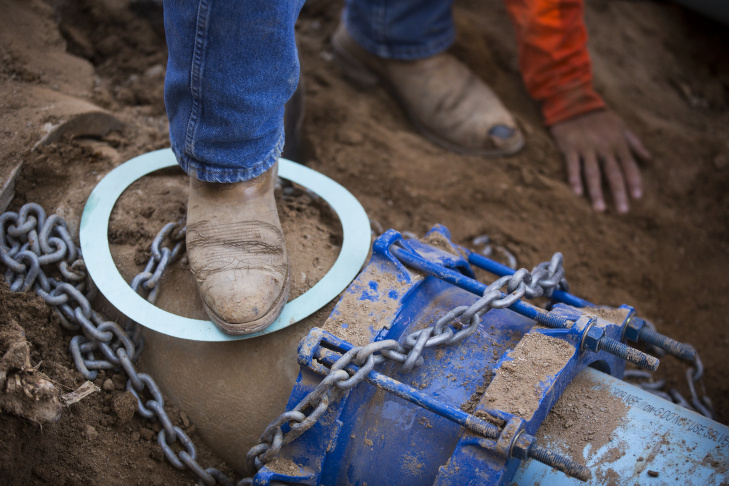 California City Department of Public Works employees install new water pipe pieces in California City on Monday, July 11, 2016. The city is starting to replace its aging water pipelines, but it’s a slow process. Mayor Jennifer Wood points out that California City is so spread out that it has two city centers. The city is 40 miles north of Palmdale, above a huge underground aquifer. Craig Platt is director of public works for California City. He's now in charge of maintaining 170 miles of half-century-old water infrastructure that is all failing at the same rate. A water line sits without any residential structures nearby on Irene Avenue in California City on Monday, July 11, 2016. Real estate developer Nathan Mendelsohn put in roads, a lake, and dozens of miles of electricity and water pipelines. In the 1960's, real estate developer Nathan Mendelsohn started planning a huge city that would rival Los Angeles. 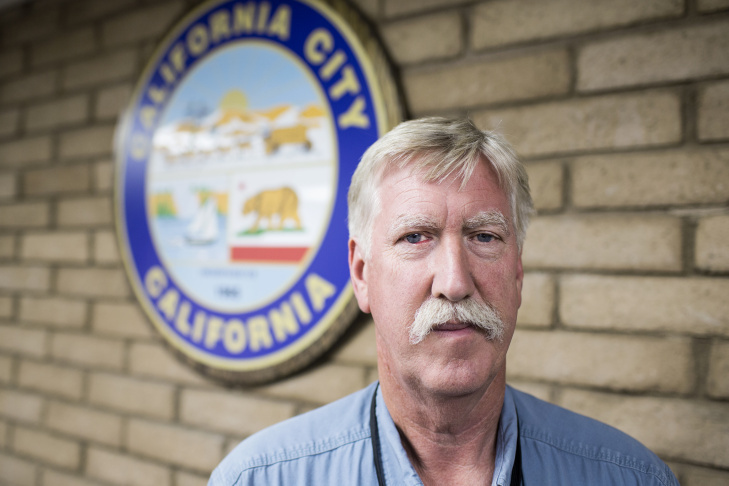 “They built it, they just didn’t come," said Craig Platt, public works director for California City. A single house sits on Sally Avenue in California City on Monday, July 11, 2016, a common occurrence throughout the spread-out city. One might expect Beverly Hills or Palm Springs to top the list of cities that haven’t done a good job conserving water during the drought. Places with big green lawns and lots of landscaping. But no – that distinction goes to a small, sparsely-populated city in the high desert called California City. 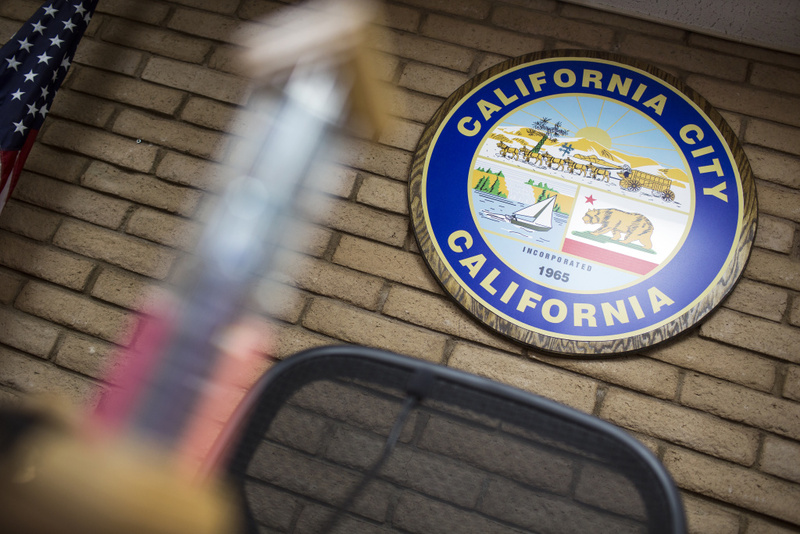 In May – the last month cities and water agencies were required to meet mandatory state water conservation targets – California City missed its goal by 17 percent, more than anyone else. To understand why California City has such a hard time saving water in the present, you have to understand its past. Real estate developer Nat Mendelsohn intended for California City to be a booming city of more than 75,000 people. Today, it's a remote desert city of 15,000. 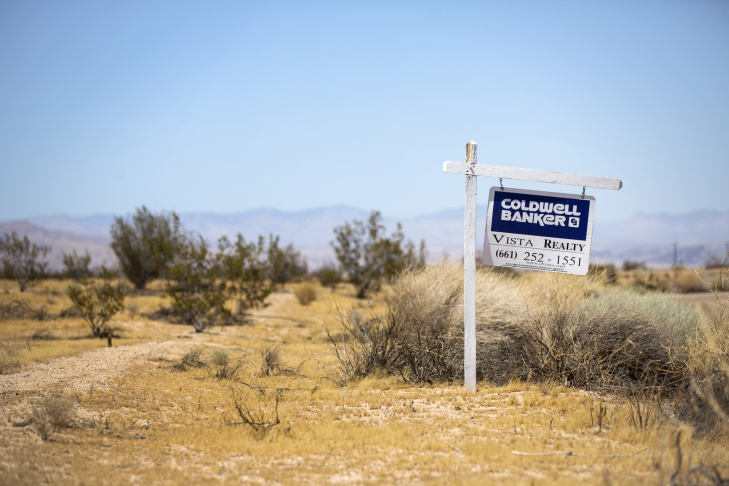 In the mid-1950s, a professor-turned-real estate developer named Nat Mendelsohn began scouring the desert north of Los Angeles for cheap land with lots of water. He wanted to cash in on the real estate boom that was transforming LA County, which would grow by almost 50 percent between 1950 and 1960. 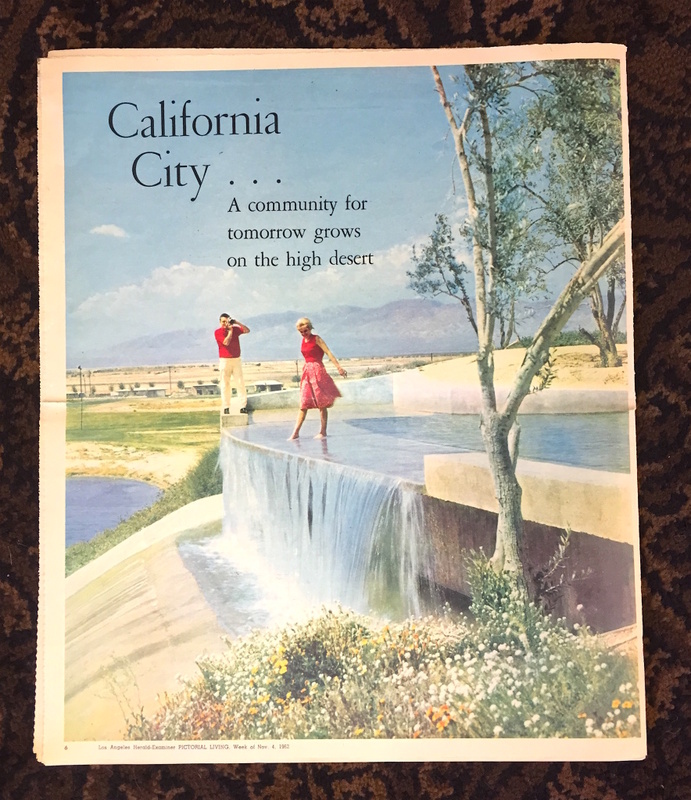 A 1962 advertisement for California City from the Los Angeles Herald Examiner highlights the city's abundant water supplies, despite being in the Mojave Desert. 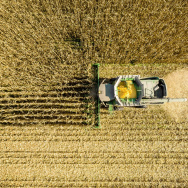 Using some sketchy real estate tactics, Mendelsohn bought the farm and immediately started planning for his city – one he envisioned would one day rival Los Angeles. He took out full page colored advertisements in LA newspapers, hoping to lure city-dwellers into the desert. Steve Colerick has a box full of those ads. He's the president of the California City Historical Society and the town's former police chief. He pulls out a copy of the Los Angeles Herald Examiner from 1962. A blond woman is dipping her toe in a man-made waterfall in front of distant desert mountains. The headline is: California City, a community for tomorrow grows on the high desert. Chunks of loose asphalt remain near where a water line blowout occurred on 107th Street in early 2015. The blowout was one of 400 major breaks in the city last year. But Mendelsohn didn’t wait for tomorrow to begin planning. 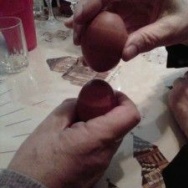 He began immediately. He cut parkways and cul-de-sacs into the desert, even giving them suburban sounding names like Poppy Boulevard and Evelyn Avenue. He built his waterfall. And he put in water pipelines – 170 miles of them, curving through the desert along empty lots. “They wanted an image that if you moved here, this was waiting for you,” Colerick said. Except there was a problem. The people didn’t come. The industries Mendelsohn was banking on to relocate, many of the aerospace-oriented, didn’t materialize. And it turns out not everyone was interested in remote desert living. Today, there are more vacant lots than homes. The city only rivals LA in one way: it’s size. 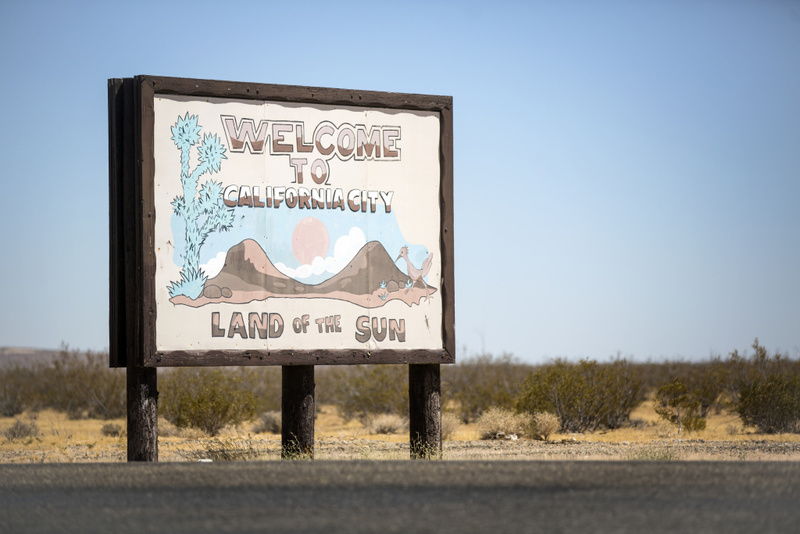 California City is the third largest in the state by area, but less than 15,000 people live there. “Today you couldn’t develop like this. They don’t allow you to develop like this. 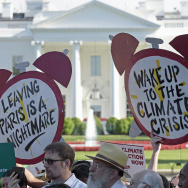 And we’re probably the model of why you don’t,” said Craig Platt, the director of Public Works in California City. 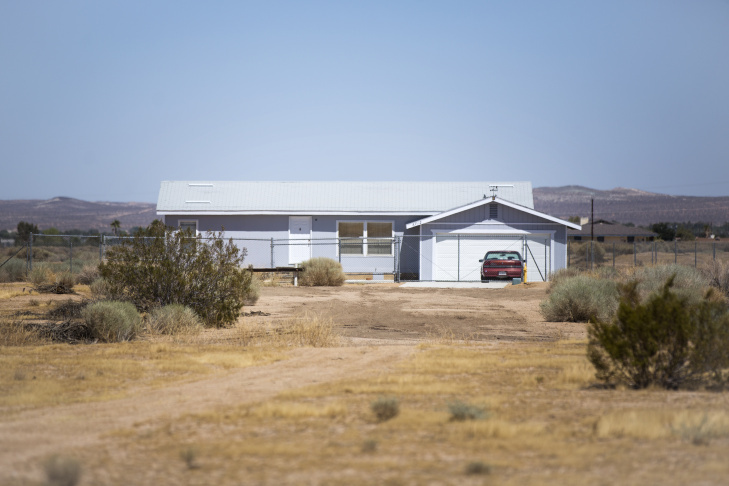 Mayor Jennifer Wood was driving home one day when she saw what she thought was a house on fire in the desert. "It looked like a plume of smoke," Wood said. 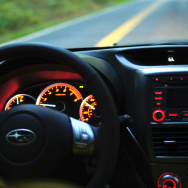 But as she drove closer, she realized it wasn’t smoke at all– it was a geyser of water shooting 100 feet into the sky. 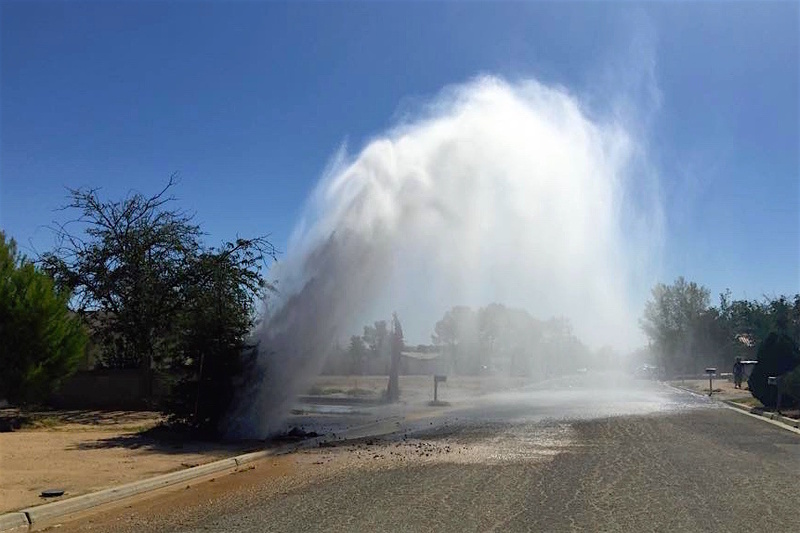 One of the many dramatic water line breaks in California City. 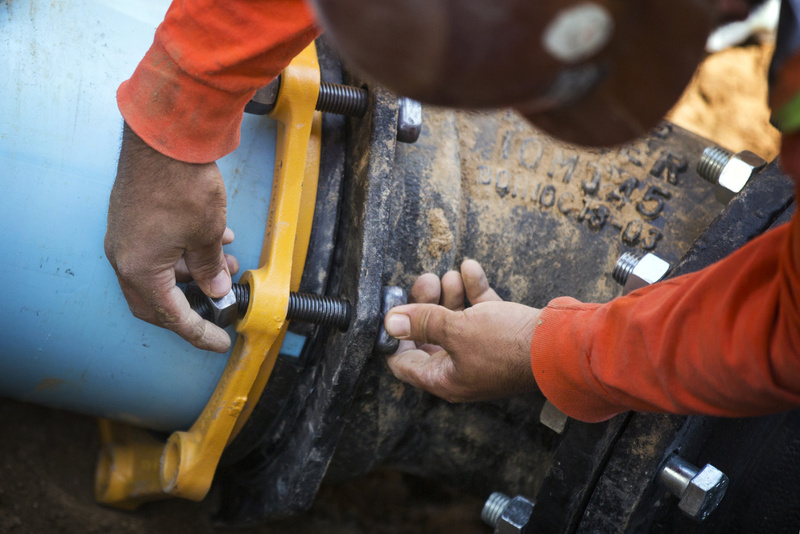 In 2015, the city had 400 mainline water breaks – sometimes up to six in a day. Water breaks blasted a hole into a house, ran like rivers down the street, and chewed away at roads, tossing huge chunks of asphalt into the air. 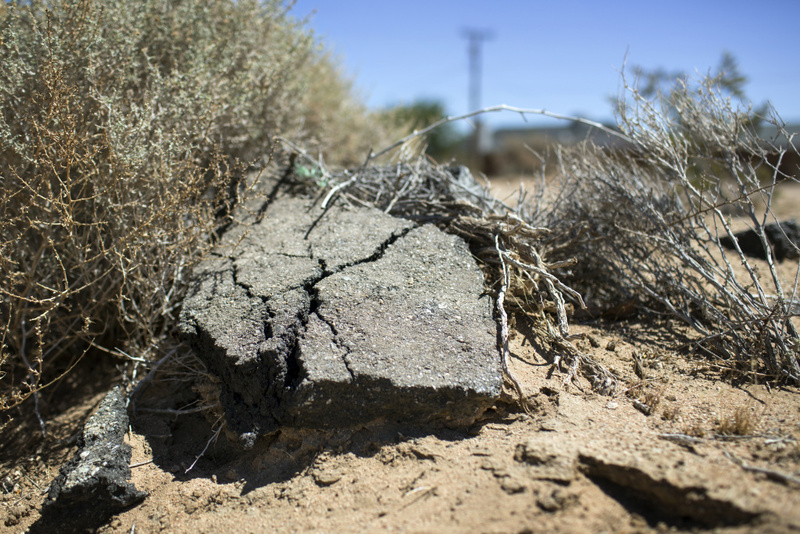 City and state officials agree that these breaks are the reason why California City never met the state’s demand that it cut water use by over a third. The city is starting to replace its aging water pipelines, but it’s a slow, expensive process. California City, with a population of 15,000, was on a list in California of the cities and agencies that are the most at conserving water. 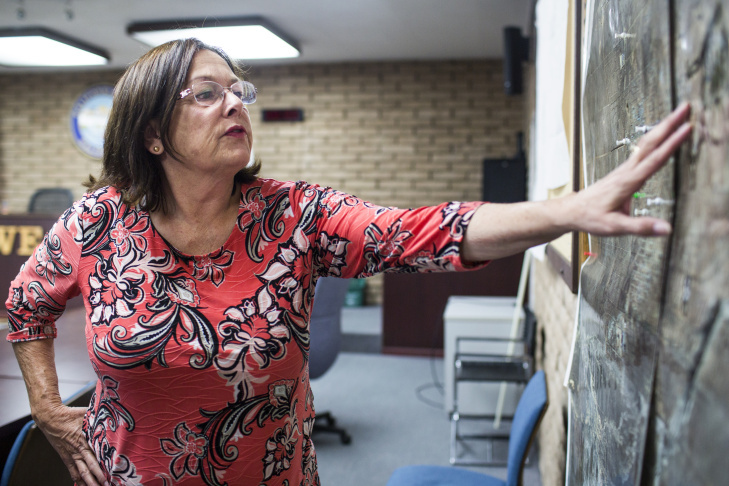 Mayor Wood, on the other hand, said the city simply didn’t have the money to front the upfront cost because it was spending so much on repairing its water infrastructure – which she said would ultimately result in more significant water savings. Still, when I visited California City, I saw sprinklers running on the golf course greens during the middle of the day – something Steve Colerick, who lives alongside the golf course, says is common. He thinks the city can do better and is blaming its water conservation problems on a lack of money and poor planning. City officials say they are solving it: major waterline breaks are way down compared to last year. Platt says his department is no longer spending all its time chasing leaks. 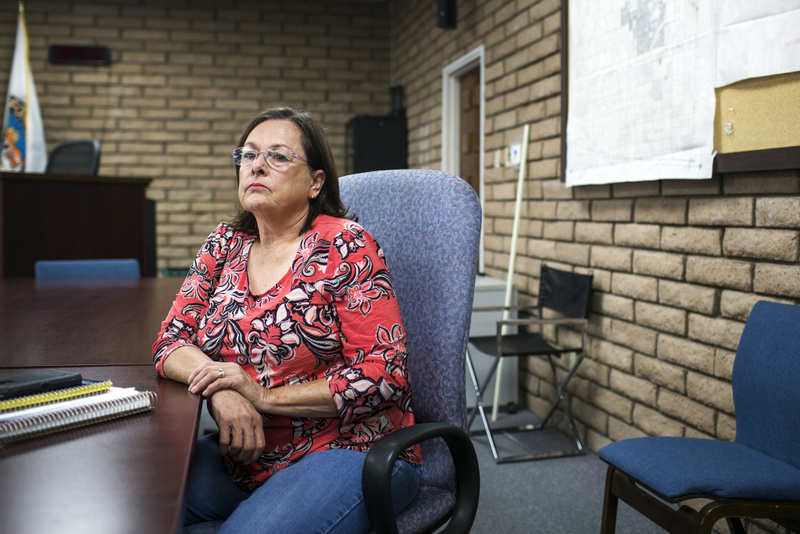 Mayor Jennifer Wood has lived in California city for more than 25 years. 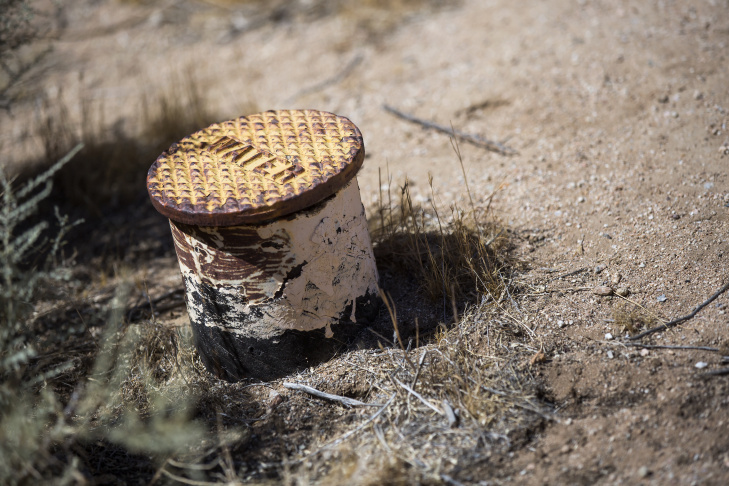 Wood says the city's water line breaks are the reason why California City never met the state’s mandatory water conservation targets. It appears to be working: in June the city used 19 percent less water than it did in the same month in 2013. But now that the state has rolled back mandatory water conservation, water use in California City is rising again (it’s up 26 percent since May). And this time, leaky pipes don't seem to be to blame. Can Southern Californians save water without being told to?